Brooke Fishback is the managing director of Go & Grow Global LLC, a consulting firm focused on new business development and international sales growth. He has over 20 years of international experience working for both U.S. and European companies, and has received awards at the University of San Francisco International Business Plan competition and from the Goethe Institute. Working at a US consumer products company, he tripled sales and increased export distribution to over 60 countries worldwide. In the process, the company was awarded a Commercial News USA Consumer Goods “Exporter of the Year” award, Massachusetts Alliance for International Business “Ambassador’s Award” for excellence in international trade, and a President’s “E-Award” for export expansion; which was presented at a White House ceremony. Brooke earned a B.S. degree in International Business and German and a MBA from McGill University. He is a NASBITE “Certified Global Business Professional” (CGBP) and recipient of their 2016 “Advancing International Trade” award for the state of Massachusetts. 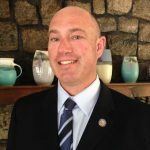 He has served as Vice Chair on the U.S. Federal Government Industry Trade Advisory Committee on Small and Minority Business, “ITAC 11”, and is a member of the District Export Council (DEC) for the State of Massachusetts. Brooke has appeared, among other events, as an expert witness on international trade issues before the U.S. House of Representatives Small Business Committee, a European Commission SME Assembly, and an EU-US Trans-Atlantic Economic Council (TEC) SME “Best Practices” Workshop.